Yes, my son has made it to Velonews! 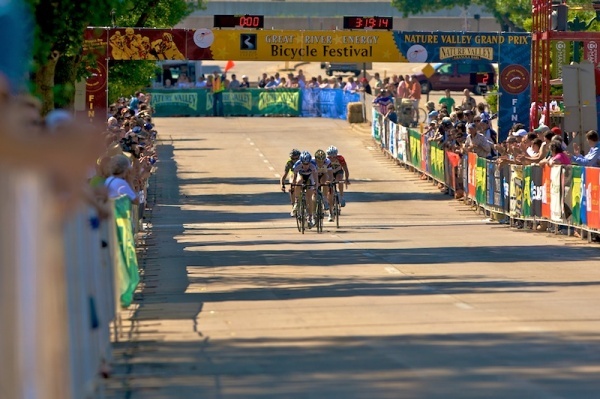 The shot shows the tight group of men racing for the finish line at the end of the Mankato Road Race last Saturday. The arrow picks out Henry. Yep, that's my boy, holding up the orange flag! 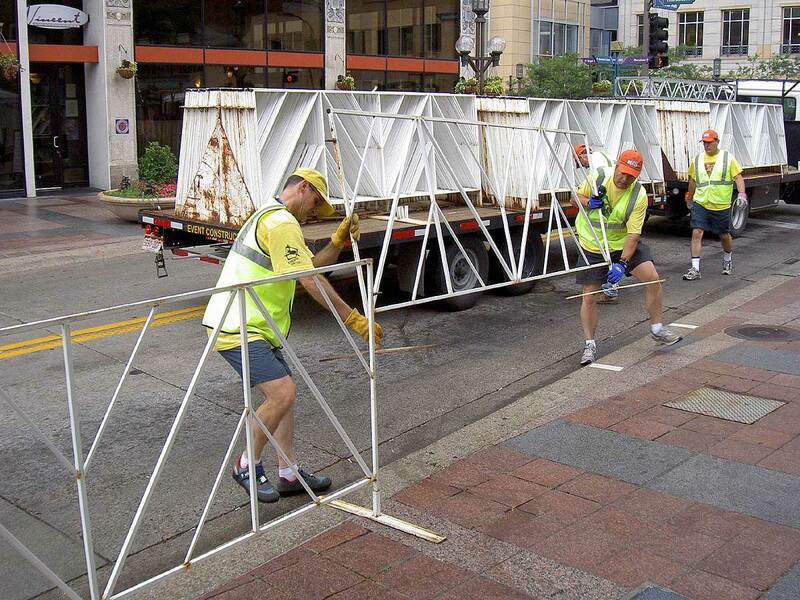 I was a Volunteer Coordinator for the races this year and one of my main responsibilities was the course marshalls. Henry worked Wednesday and Friday nights and all day Saturday. The glory boys may be those sprinting to the finish line, but the volunteers make this all work. I had the privilege of working with dozens of these folks and the races went great. Henry was one of many who worked multiple shifts and days and I am legitimately proud of him. 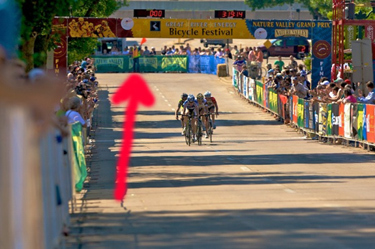 You can read the account of the racing stuff in Velonews; this photo is from Mankato's Stage 5. 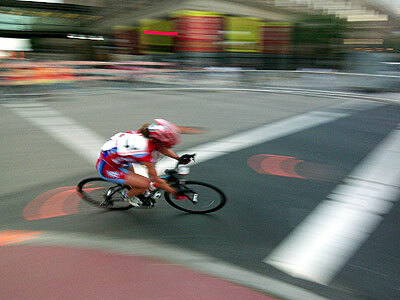 The photo is by Kurt Jambretz of Action Images, though I added the arrow! I was at Barley John's with some of the other nutters from the Three Speed Tour and there's often a show'n'tell. Many times these are old English bicycle parts of such rarity that I have no idea what they are, other times it's more recent but interesting stuff. I hardly ever have anything, at least since I last modelled my Rainlegs. This comic book isn't dated, but a close reading says it's probably 1973/74. Old bugger bike guys notice the high-flange front hubs, suicide brake levers, automobile styles, leg lights, lock styles and of course the fashions. This would also be in the midst of the 1970s Bike Boom. Now, this isn't the weirdest bicycle safety material ever (the undisputed top place has to go to 1963's One Got Fat, sort of Planet of the Apes version of the League of American Bicyclists material and well worth watching) but it must rank right up there. 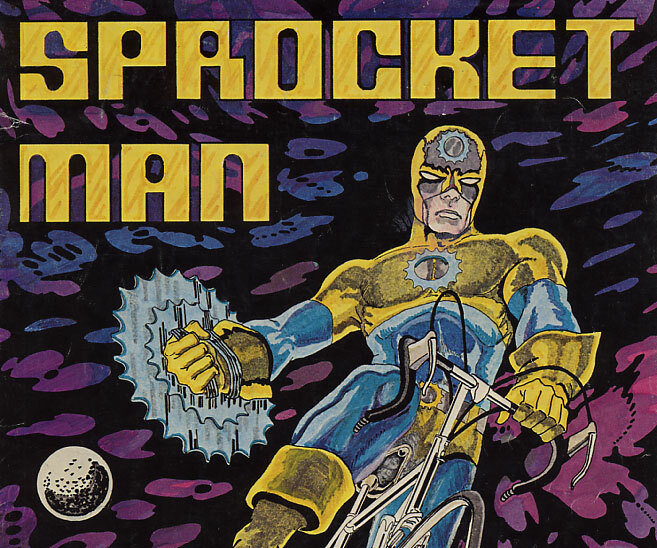 In this comic book, Sprocket Man, complete in superhero outfit, dispenses advice on bicycle safety. Even more than One Got Fat, the material is well-thought out and remarkably relevant even 35 years later. The 1970s Bike Boom was a time when adults were riding bicycles in traffic in the U.S. for the first time in decades, and you'll notice the Right Hook, alternative left turn possibilities, ride with traffic, obey traffic signals, signal your turn, stay off the sidewalk, be courteous to pedestrians on the trails, use lights and reflectors, etc. I borrowed Juston's copy and scanned it in; you can read Sprocket Man here but be warned it runs 12 Meg (it started out at 62 Meg, so I've cut it down for you). Comic books can be an effective communication tool, combining pictures and text (see the entry on Making Comics in Cool Tools) and Sprocket Man is actually pretty good once you get past the superhero thing. Now people draw on computer, and the pen-and-ink thing looks old, but it's still pretty cool. Credits: Louis Saekow, Artist; John Troja and Julia Molander, Directors; developed by the Urban Bikeway Design Collaborative, a project of Urban Scientific and Educational Research, Inc., Washington, DC; this copy originally distributed by Pavlak's Pedal Palace, Mt. Clemens, Michigan, a Raleigh and Rampar Bicycles dealer. There is a Stanford Univeristy article from 2002 describing Sprocketman's origins. Finally, the CPSC has its own 24-page Sprocketman comic, apparently much the same material without the glossy cover which takes my PDF to 28 pages. Their copy is a smaller PDF but not as clear as mine; you gotta make choices in life.